Visa applications have been denied for the Canadian citizen who has been tapped to lead the Burlington School District. Burlington school officials say they will appeal the denial earlier this month of an O-1 visa that would have allowed Yaw Obeng to start his $153,000-a-year job as superintendent of city schools. The denial keeps Obeng in limbo. But he still wants the job. And he says he's confident he'll get a visa. 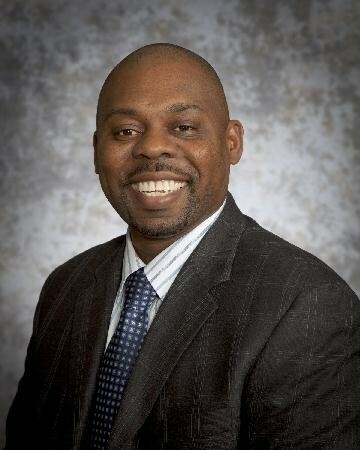 Obeng is a senior administrator at the Halton school district in suburban Toronto. He says he doesn't plan to officially resign from that job until his work papers come through. It's unclear when and whether that will happen. U.S. Citizenship & Immigration Services in St. Albans processed the O-1 application. Director Laura B. Zuchowski wrote the denial. She found the application failed to demonstrate that Obeng has the extraordinary ability and sustained national or international acclaim in his field — education — required to qualify for an O-1 visa. The standard requires that applicants meet at least three of eight criteria. Obeng's application met only one of eight, according to the denial, which was first reported Thursday by the Burlington Free Press. The one criterion met: That Obeng is employed in a critical or essential capacity for an organization with a distinguished reputation. The review found insufficient evidence that Obeng has published scholarly articles, received internationally recognized awards or been recognized globally for scholarship in his field, however. The denial is not a reflection on Obeng's credentials, said interim Burlington schools superintendent Howard Smith. "It had to do with his qualification for a generic visa. Period,” Smith said. Obeng met the criteria for the superintendent job "at a very high level" and the school board continues to view him as highly qualified, Smith said. The denial was the second visa defeat for Obeng. He also failed to get a visa under the H1B lottery program. The school board amended Obeng's contract from a July 1 start date to no later than October 1. Smith has agreed to fill in until then. The school district will refile the O-1 visa application, and, if that fails, file an appeal. Either way, there should be a decision by the end of August, Smith predicted. The district is also looking at other visa application strategies. The school district has spent about $43,000 so far on the superintendent search and the legal bills for the visa application, Smith said. That's about $3,000 more than the initial search budget. The tab is likely to go up with more legal bills.